This Europlus washing tap with standard spout has a GROHE StarLight chrome coating, also giving it a lifelong shine. In combination with the SpeedClean aerator, limescale stands no chance and the tap needs minimal maintenance. The tap has a smooth body, meaning that there is no stop attached to a chain or up-waste installed in the tap. 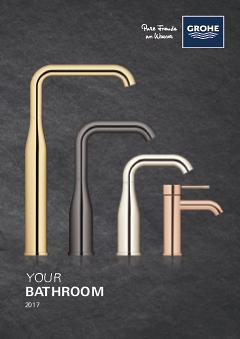 With its metal grip and thanks to GROHE SilkMove the tap can be smoothly and accurately used . Thanks to the GROHE QuickFix Plus quick installation system, you can easily install the tap.